Starting a business does not have an age requirement, there are a lot of successful businessmen and businesswomen who started their ventures when they are still young. 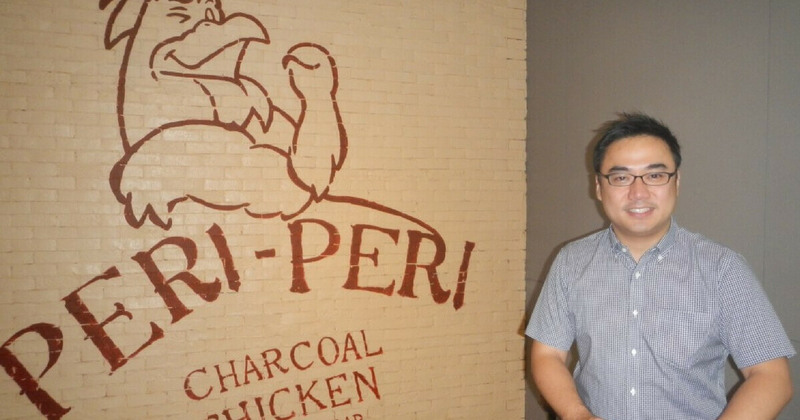 One of these is Bryan Tiu, the owner of Peri-Peri Charcoal Chicken. He actually started his business ventures when he was still in college. His first venture was when he was 18 year’s old. He borrowed money from his father’s retirement fund to buy the franchise of Domino’s Pizza. The business did well during the first few years, he was able to expand to three more outlets. But everything went sour when the economy slowed down in 1998, prompting him to eventually close down the business. Refusing to give up his dream, he borrowed again. He used the remaining balance of his father’s retirement fund to invest in a Japanese restaurant that he conceptualized and called Teriyaki Boy. In 2005, he then sold 70% of Teriyaki Boy to Pancake House, Inc. The portion of the proceeds he received from the sale was used to put up a chicken restaurant he named Peri-Peri Charcoal Chicken. Given his track record of 30 outlets of different brands in just a few years, he sure knows what tips to give to those who are just starting. Learn how to adapt to the changes in your market. If you don’t respond to the changes, you just might be left behind. Gaps in the market are unmet demands that can prove to be beneficial for people who will start to offer services to fill the gaps. Sometimes, selling your company does not mean that you are giving up, it can mean that you’ll be joining a more experienced group of entrepreneurs that you can learn from. “One reason I sold Teriyaki Boy was because the business was already growing to a level I could not handle anymore. I realized that I have some weaknesses as an entrepreneur. I did not know how to bring the company to a corporate level where I need to put in some systems. Sometimes, stepping out of your comfort zone and developing an entirely new product to offer to your market may be the key to your success. Know when to step up and develop one to innovate your success. Diversification is a way to lessen the risk of losing your business and also to strengthen your product and market reach. “I think that when you have grown to a certain size and you feel that you already know everything, sometimes your focus is your enemy. Although it is easy for us to create new food concepts because we have one commissary, I try to hold back and just push on two things: chicken and Japanese food.